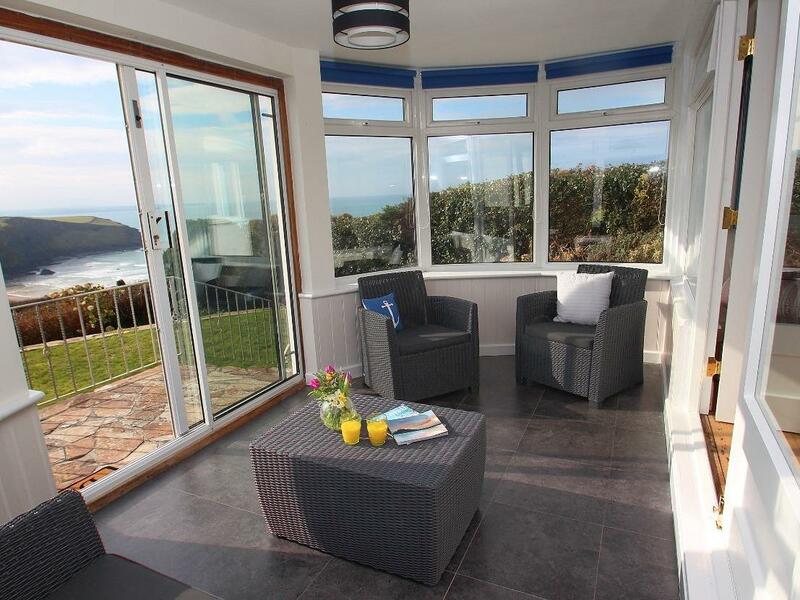 Bridge House is a five bedroom holiday cottage in Goonhavern that sleeps 10 people with two bathrooms in a perfect location for exploring the North Coast of Cornwall, for family beach holidays with Perranporth and Newquay close by. 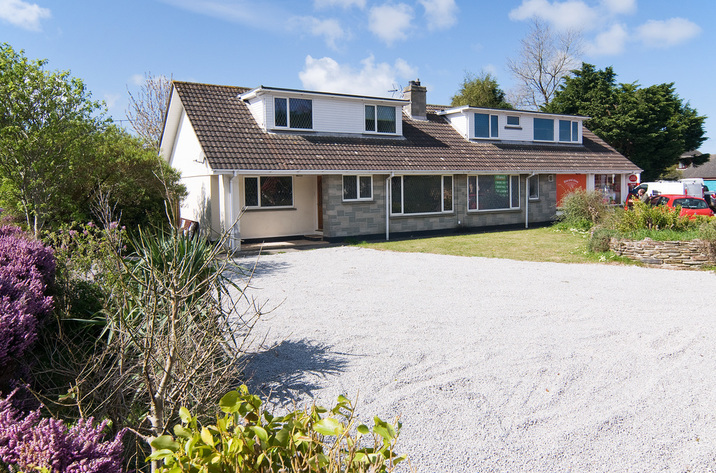 Bridge House features a modern and open plan style interior with space to relax in including two living areas and an enclosed rear garden. 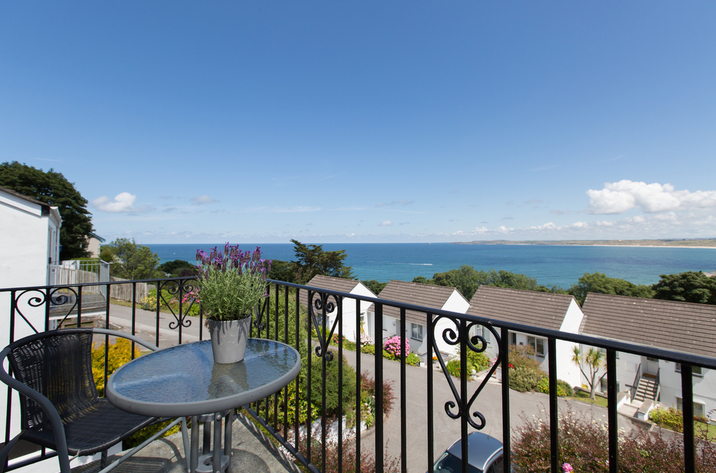 If you are looking for a high-quality 5 bedroom self catering holiday home in Goonhavern, then Bridge House is a perfect choice for you. 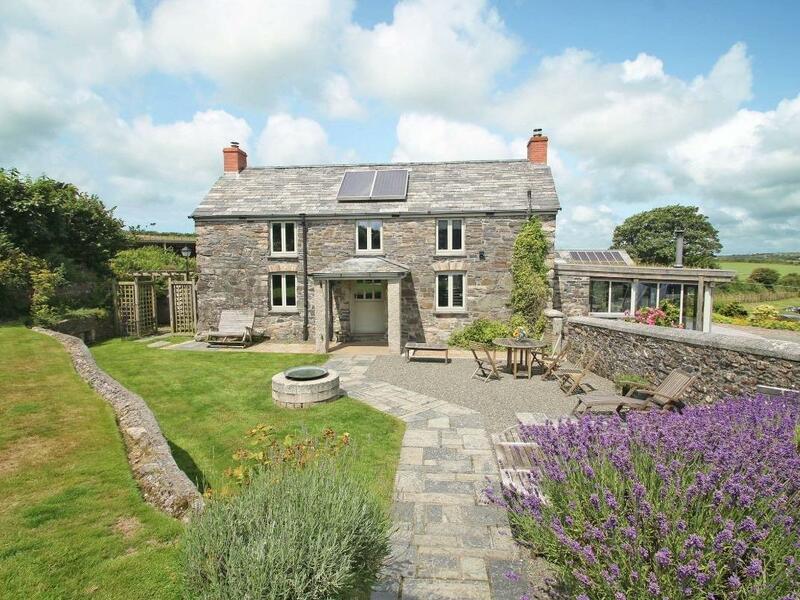 This is a family friendly holiday lets that has offstreet parking and broadband and Wi-Fi Internet facilities the rear garden includes a furnished patio area with table and chairs and there is a small garden to the front. 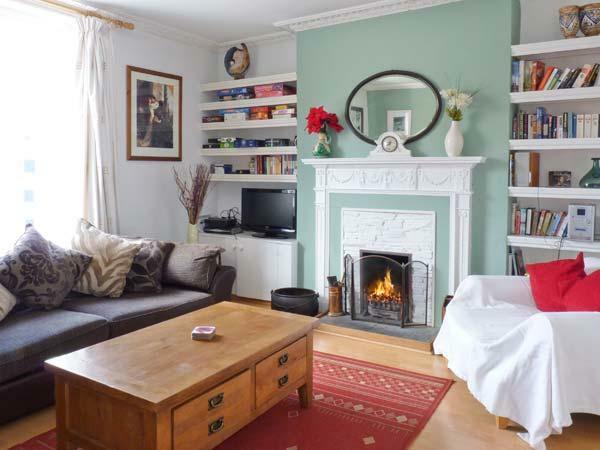 There are three ciphers in the open plan living room and dining area with an electric fire as well as a large flatscreen television and DVD player. There is an additional relaxation area with two leather sofas and flatscreen TV. The modern kitchen as all of the utilities that you would require including dishwasher and washing machine, fridge freezer, cooker and slow cooker. The dining area is also of a modern and contemporary design with a large dining table and seating for 10 on leatherback chairs. 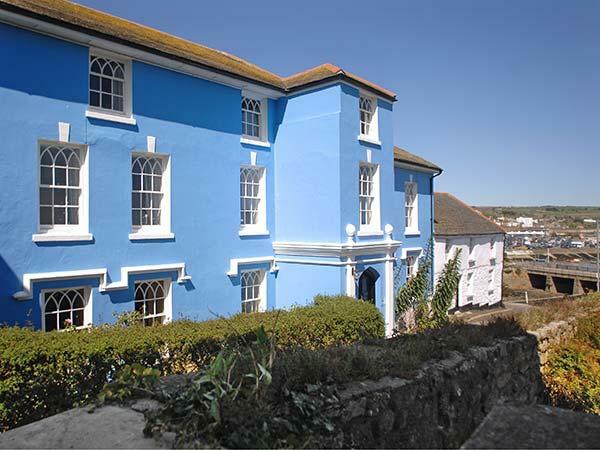 Bridge House has one master bedroom with a king-size bed, a second bedroom with a double bed and single bed, a further double bedroom, another twin bed bedroom and the fifth bedroom is on the ground floor with a super king-size zip and link bed. 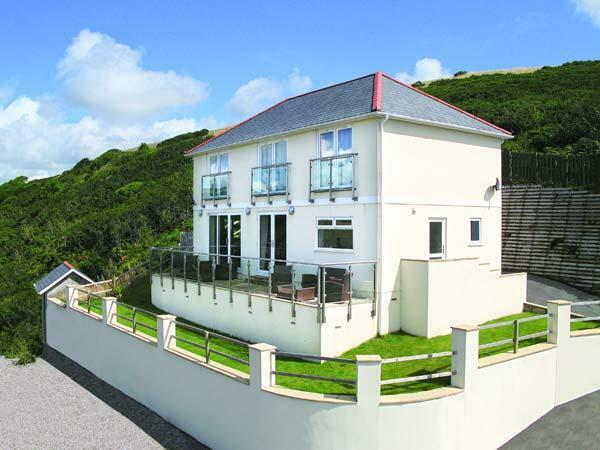 There is parking for four cars within the grounds and if you stay at Bridge House then you will also benefit from three parking permits for Perranporth beach car park. 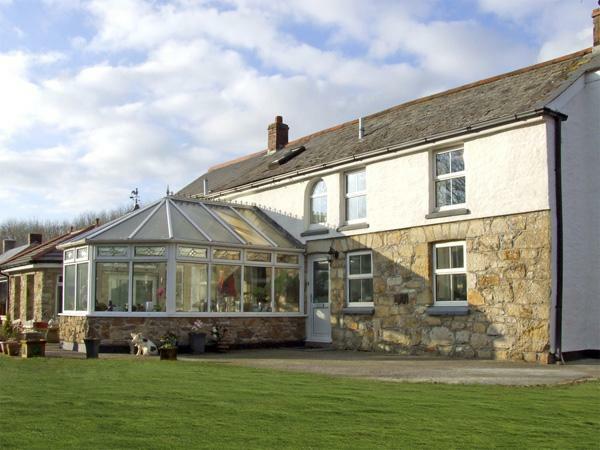 Bridge House is perfect for families looking for a large Goonhavern holiday home that is self catering with easy access to a range of high quality beaches in North Cornwall. 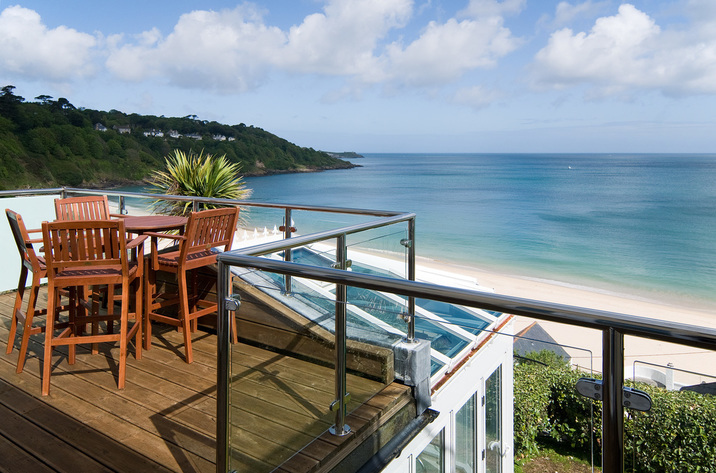 With Newquay close by, there are also a large number of tourist attractions for you to visit and enjoy a fantastic holiday by the beach in Cornwall. Hmm.. we don't appear to have any user-submitted reviews for Bridge House. If you have stayed here, you can submit your own review.